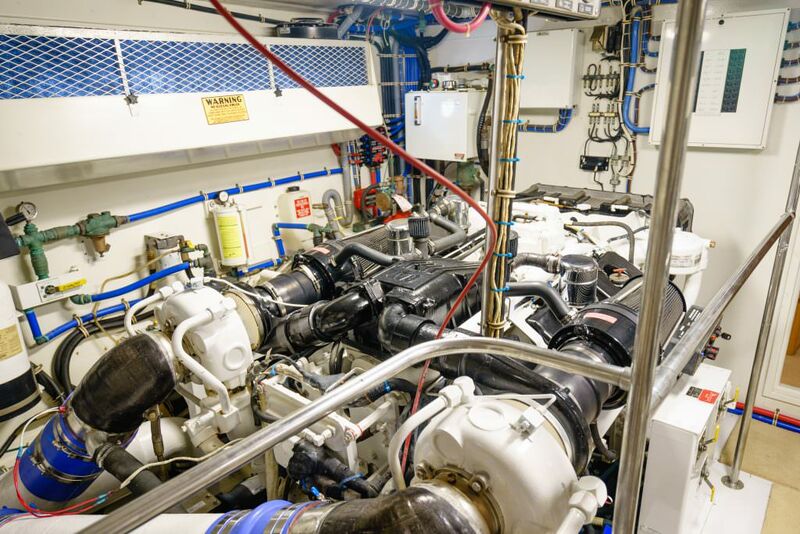 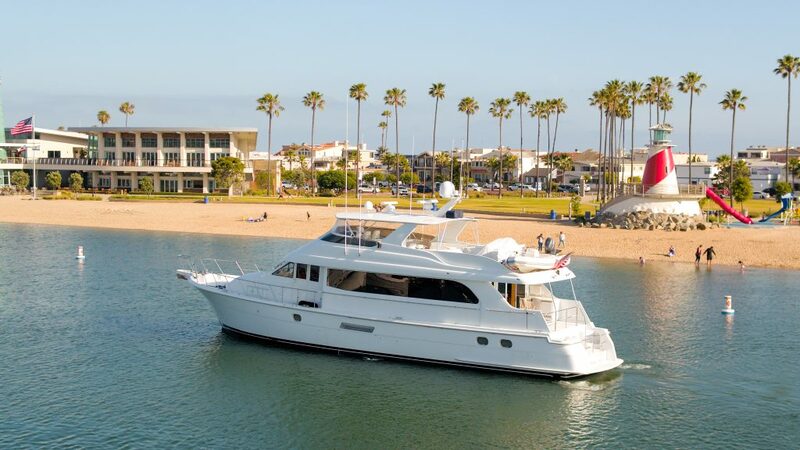 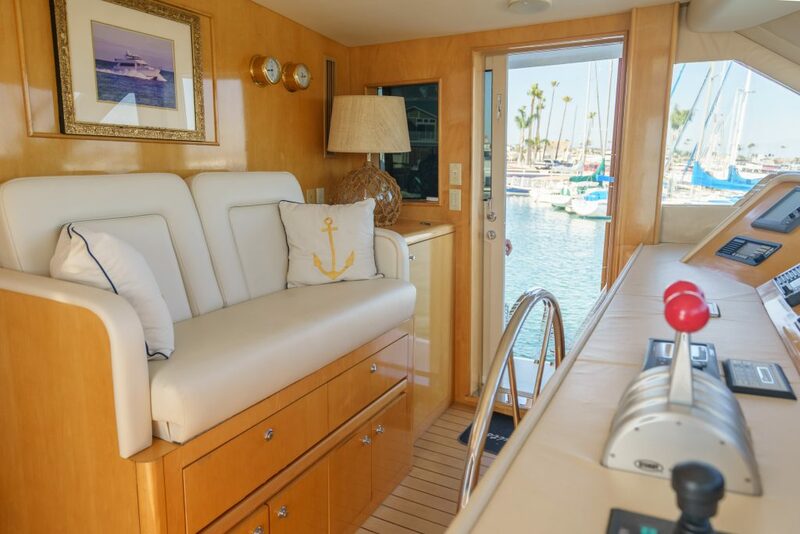 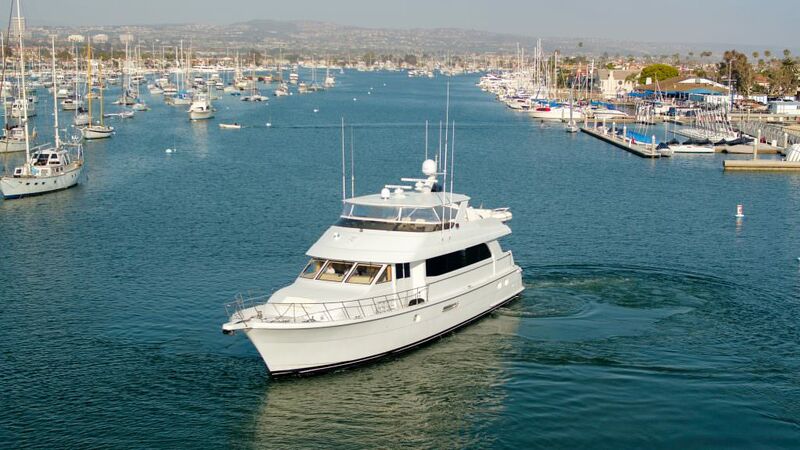 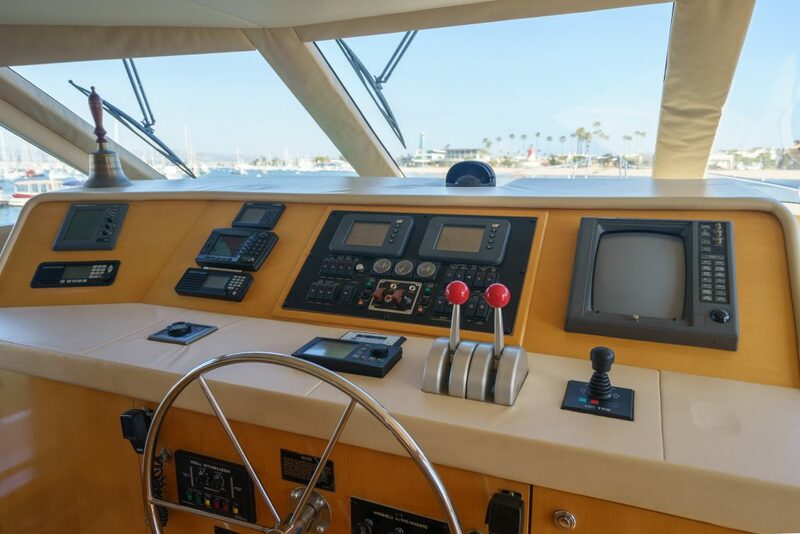 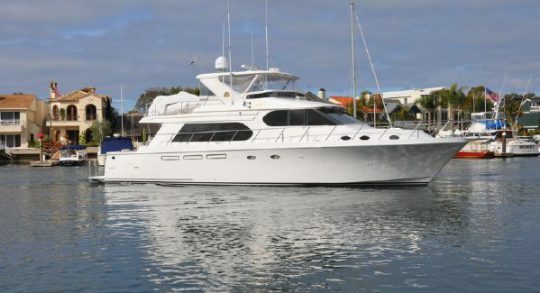 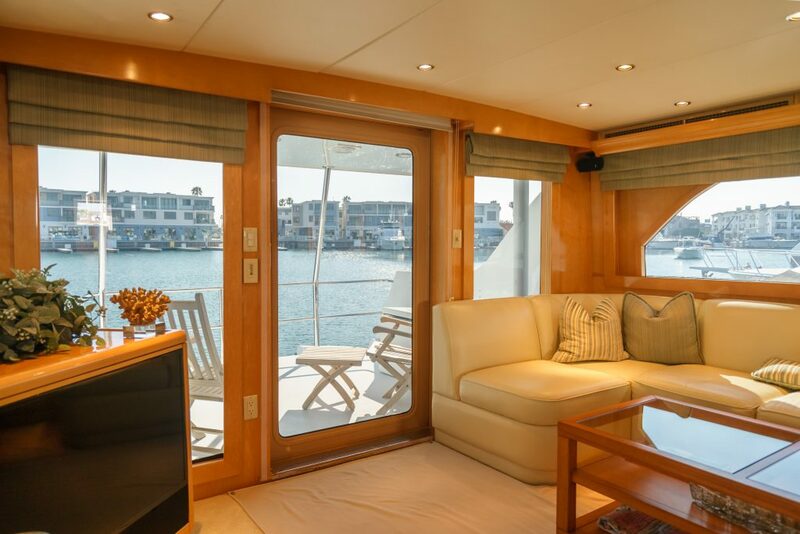 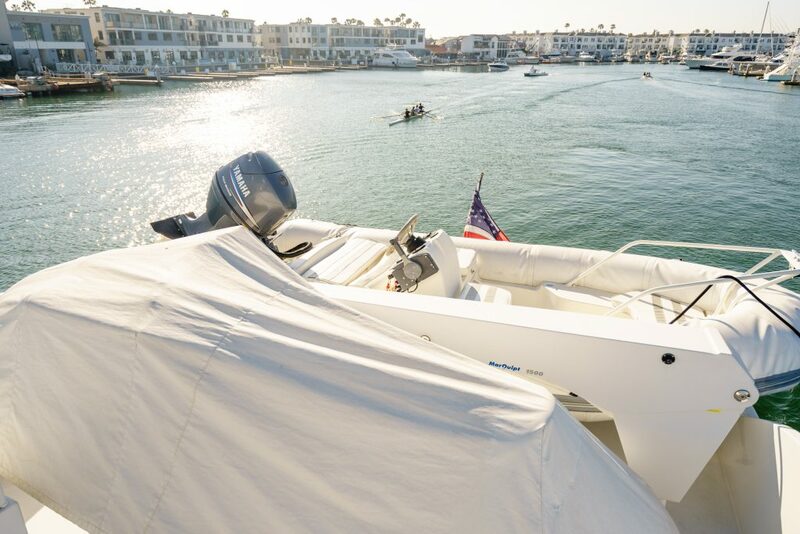 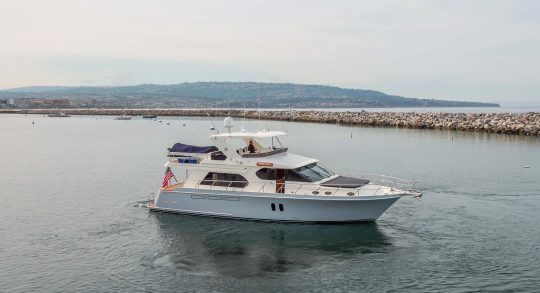 Modern styling and a spacious wide body interior made the Hatteras 75 Cockpit Motor Yacht the best selling boat in her class for several years. 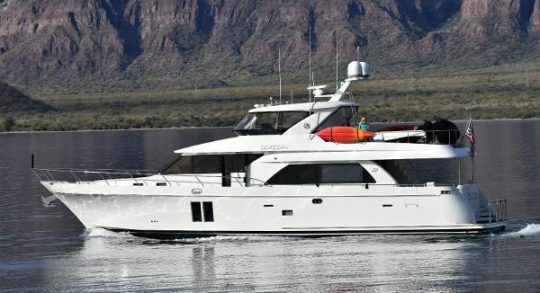 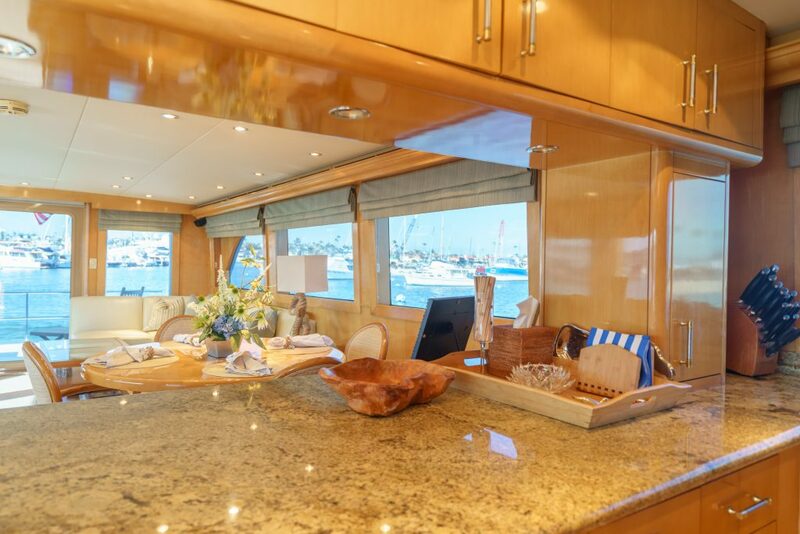 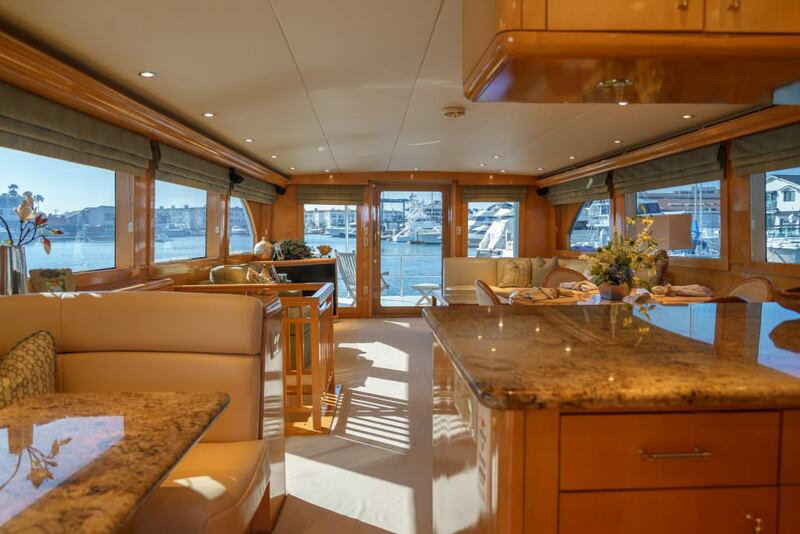 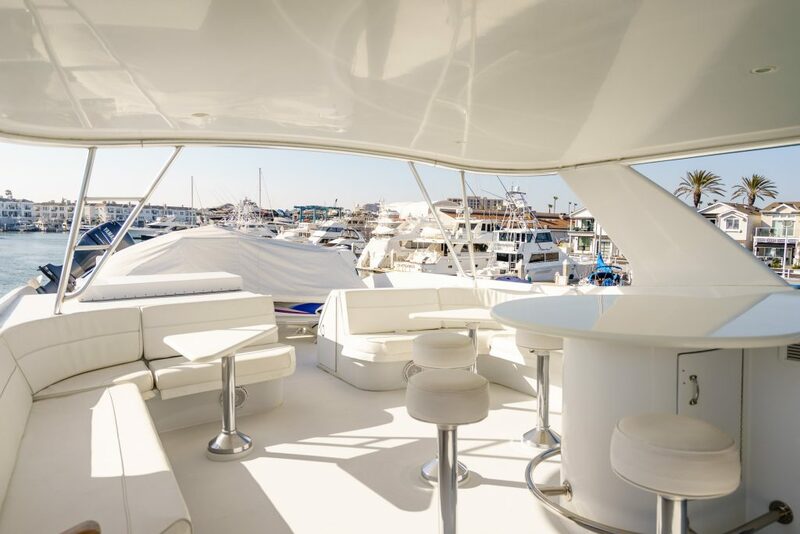 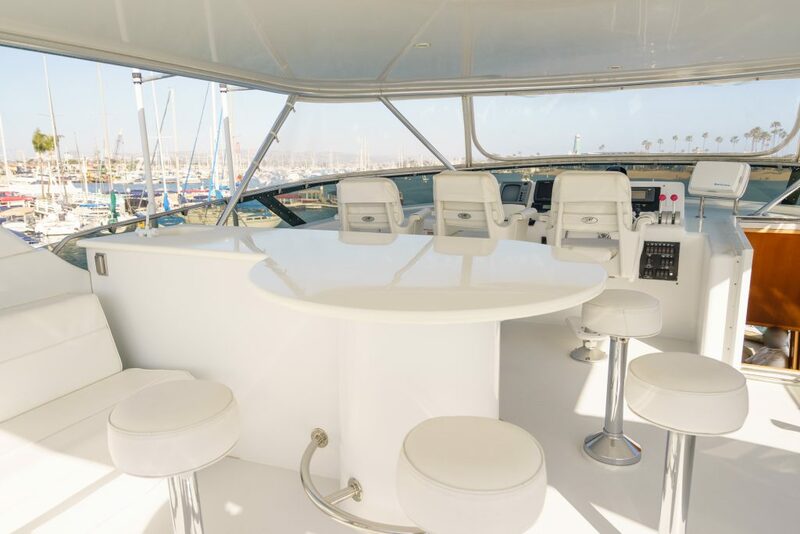 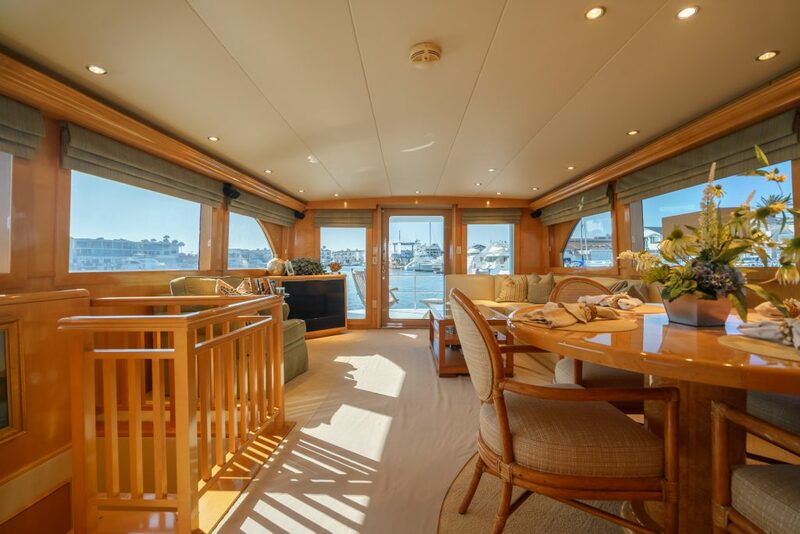 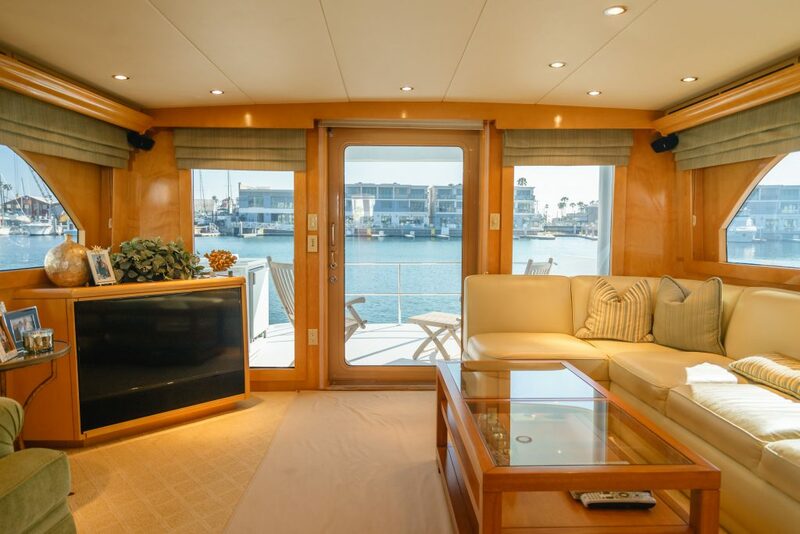 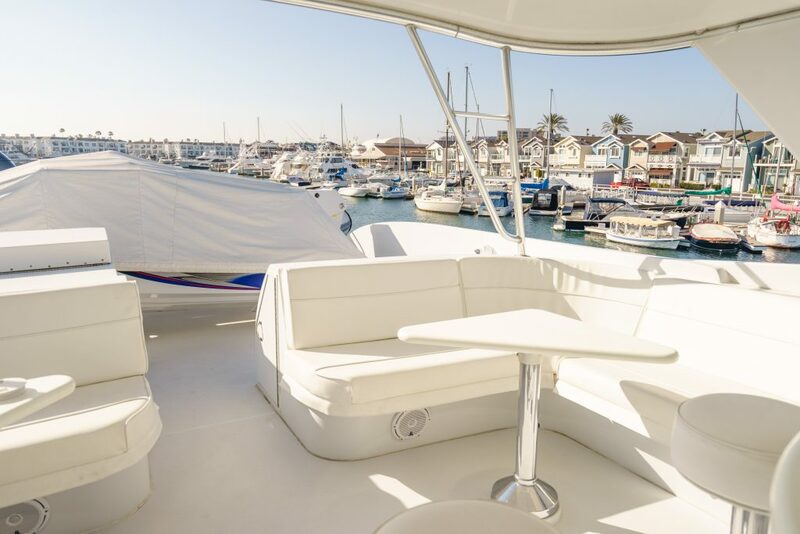 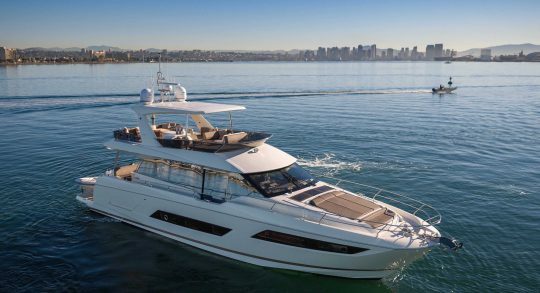 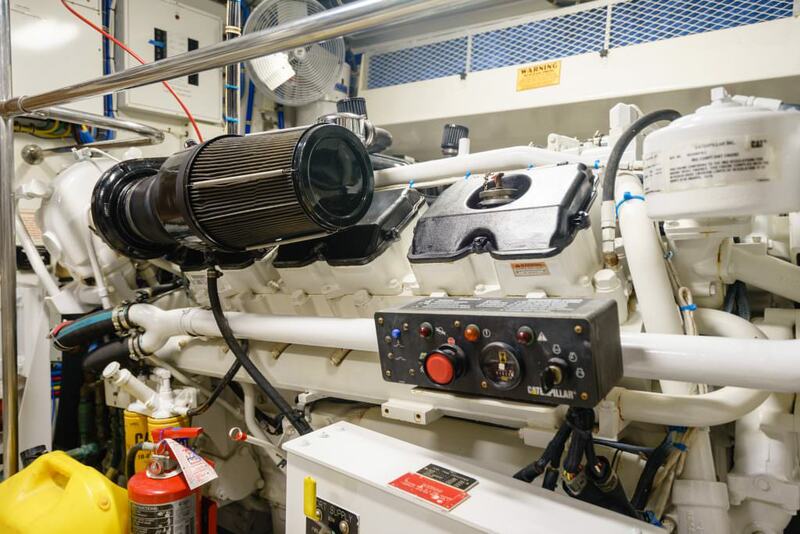 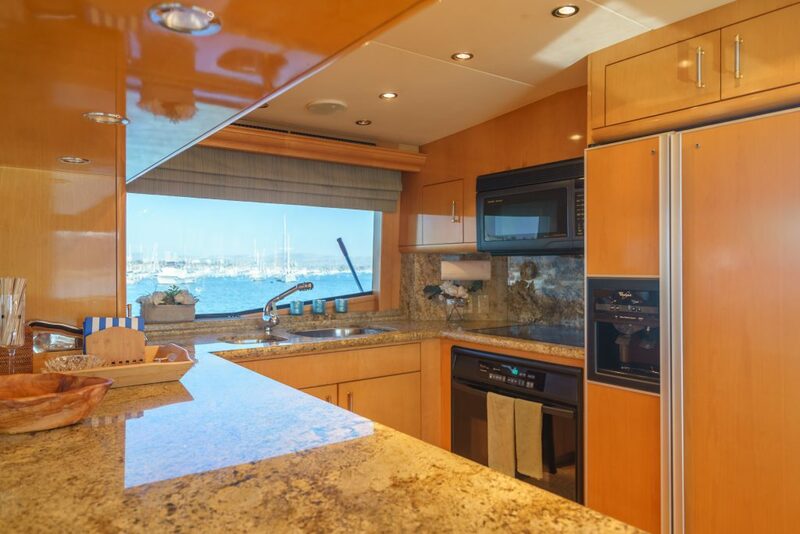 It includes a full width salon with dining area forward, a home size galley with dinette, and a large flybridge with a gas grill. 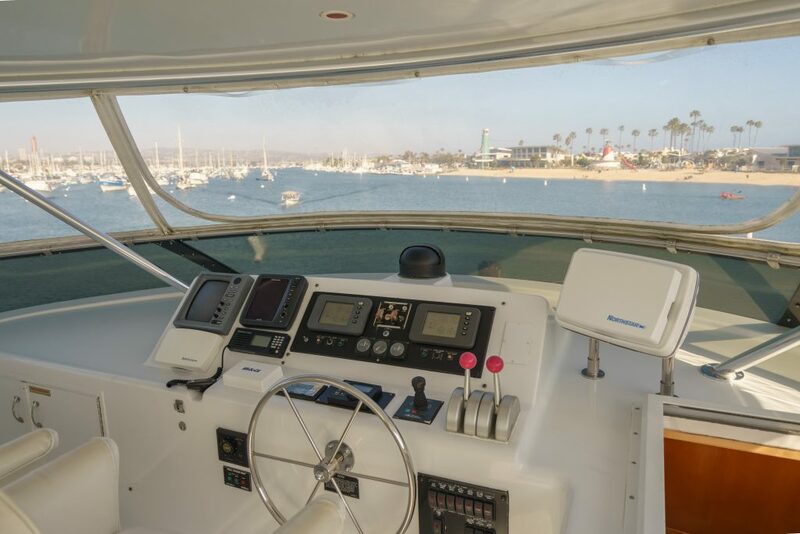 The pilothouse features a centerline helm, three person settee, twin deck access doors, and a stairway to the flybridge. 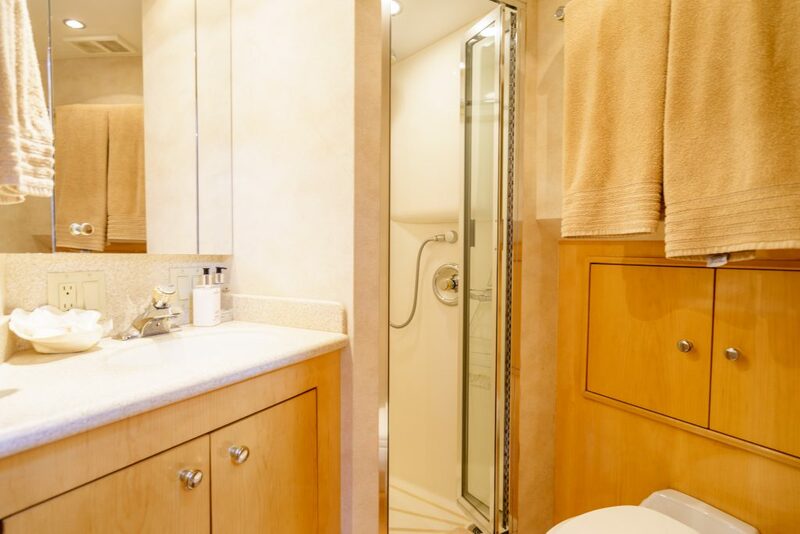 There is a private salon entrance to the aft master stateroom complete with a king size bed and his/hers bath with jacuzzi tub. 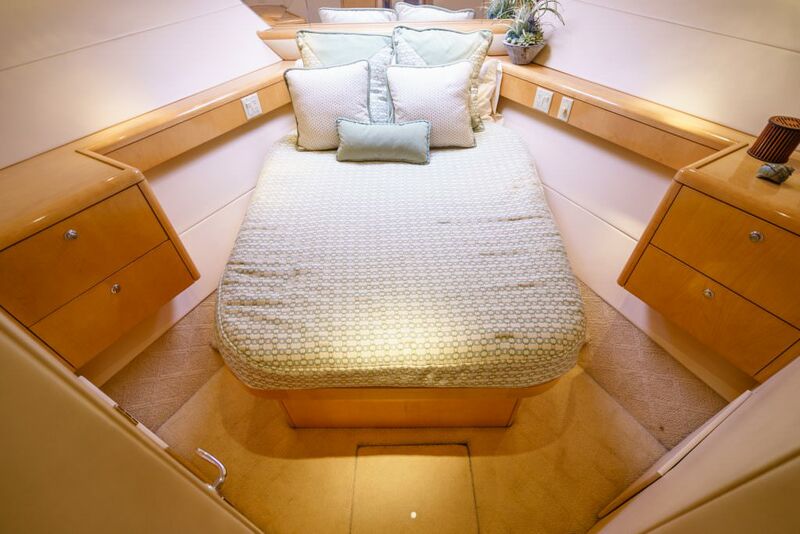 Forward of the master suite is a guest stateroom with over/under berths, build in desk, and private head/shower. 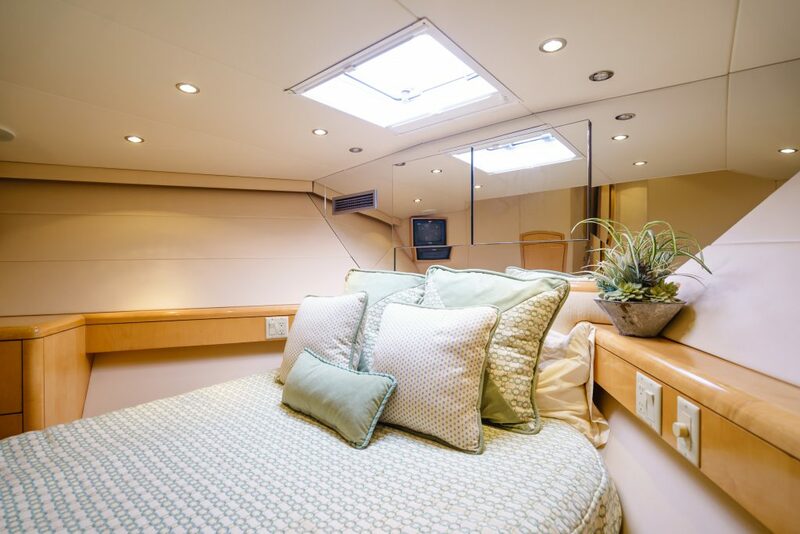 The VIP stateroom is amidships, forward the full bean engine room with a walk around queen bed and private bath with jacuzzi tub and shower. 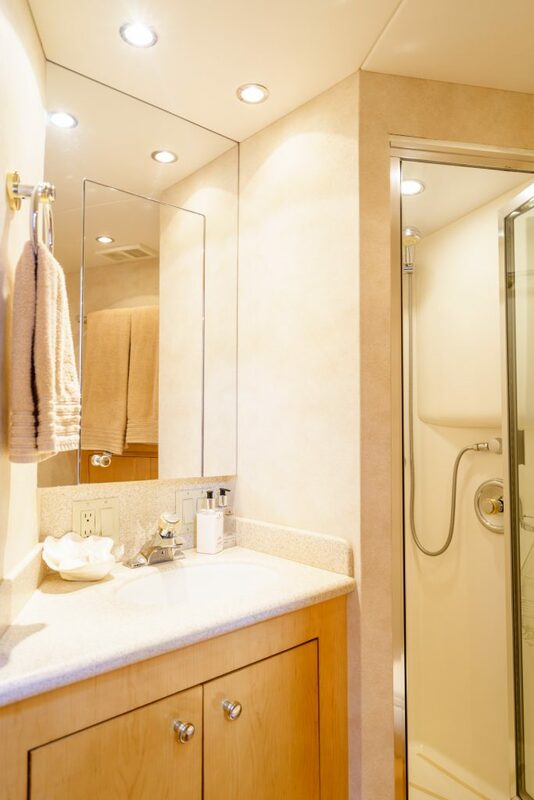 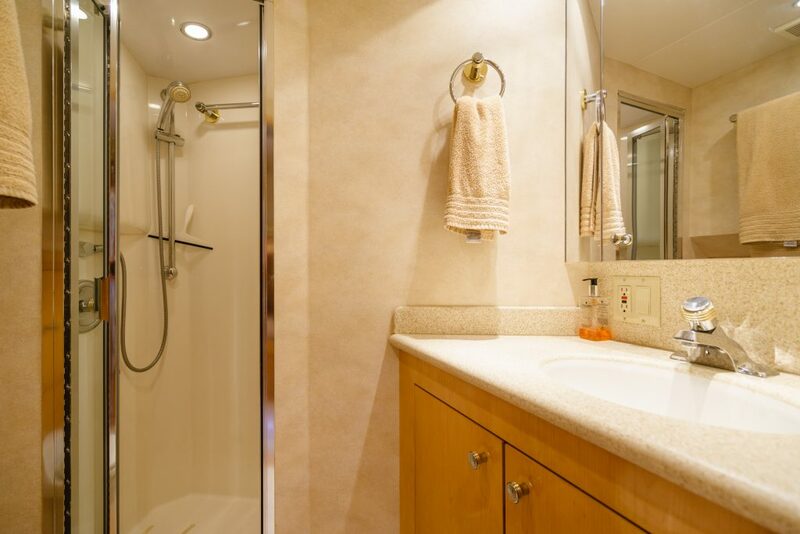 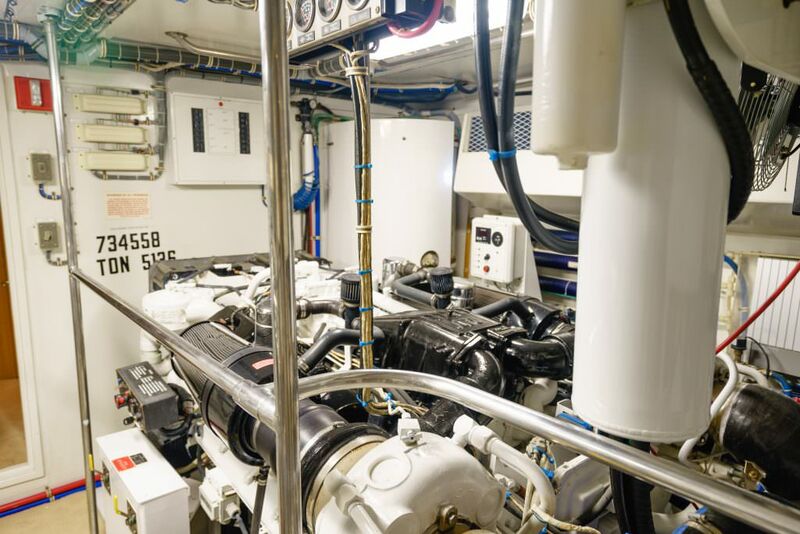 A second VIP stateroom at the bow has an island berth and access to a bath/shower. 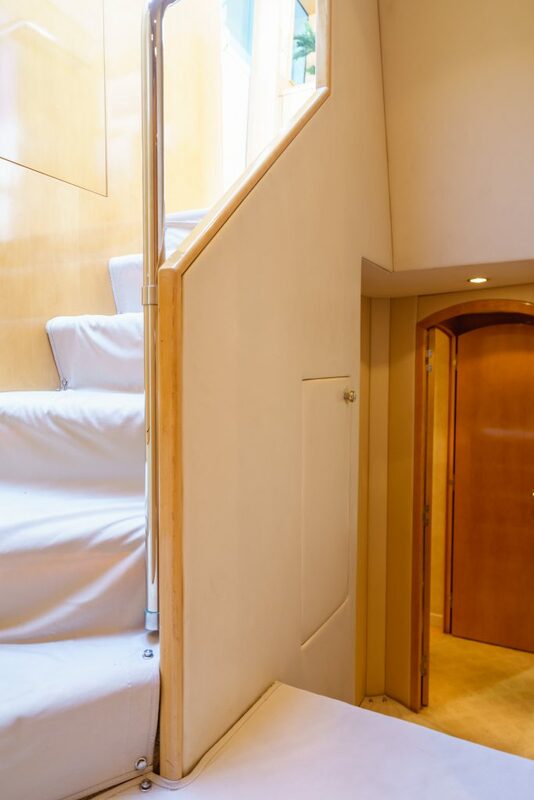 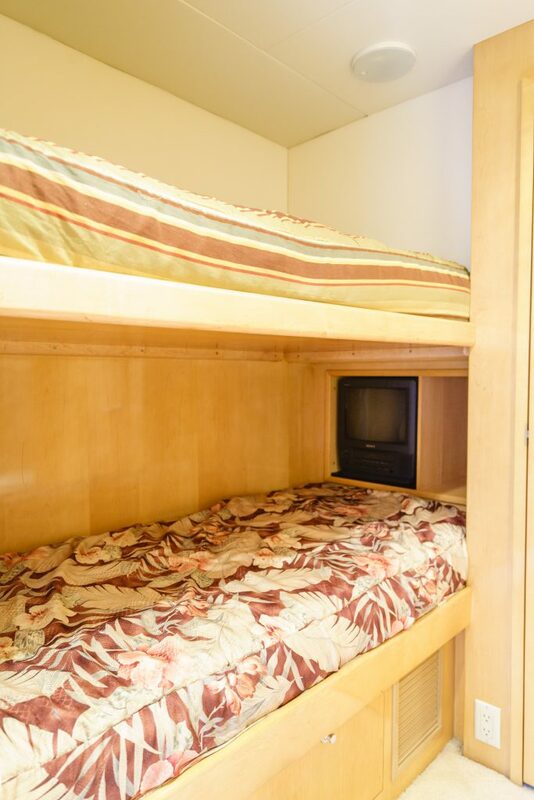 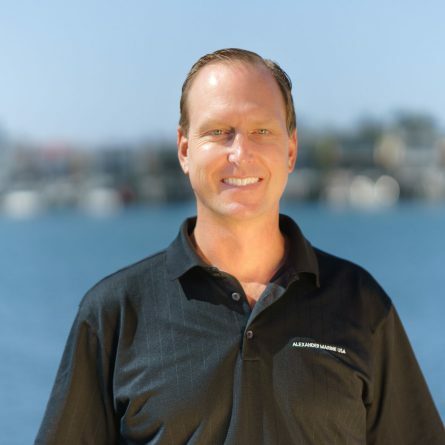 To port is a guest stateroom with over/under bunks. 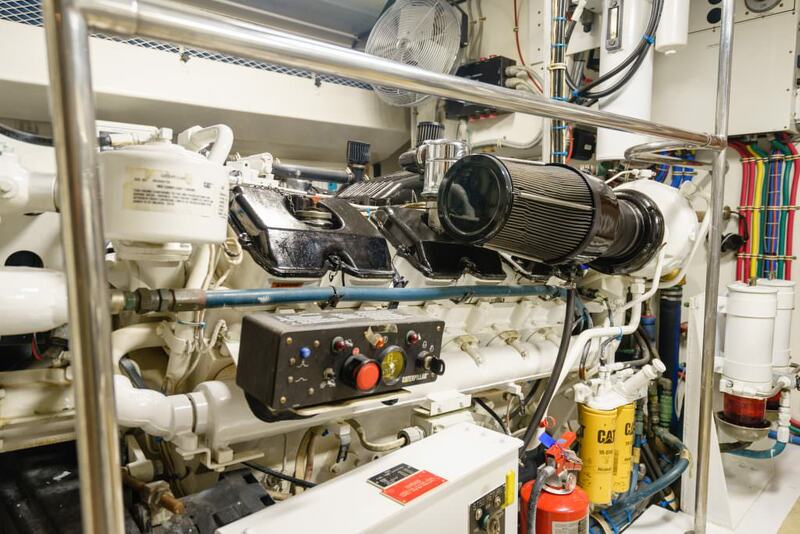 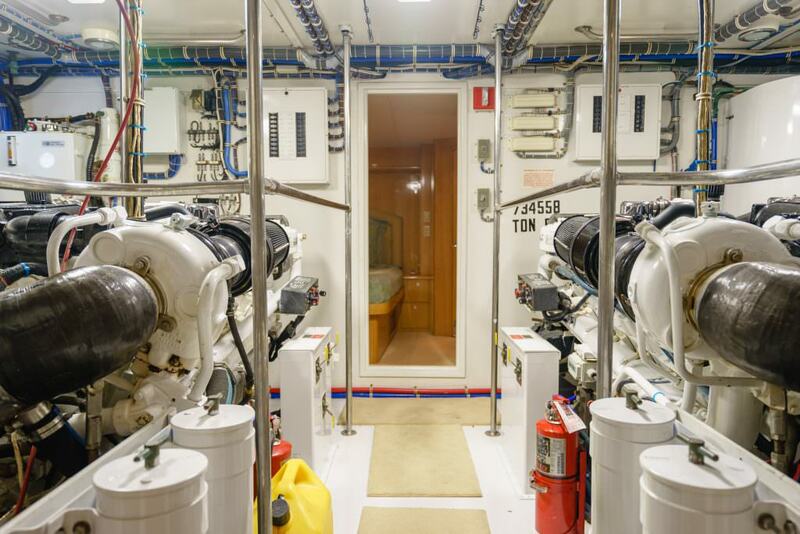 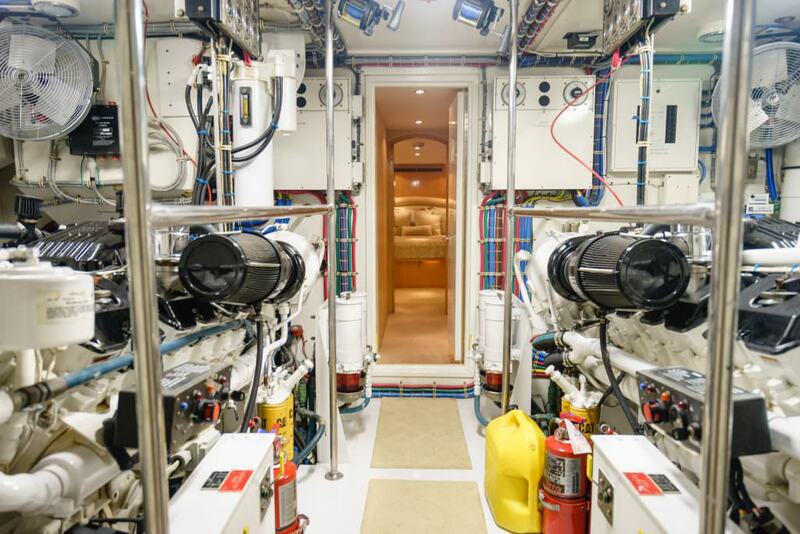 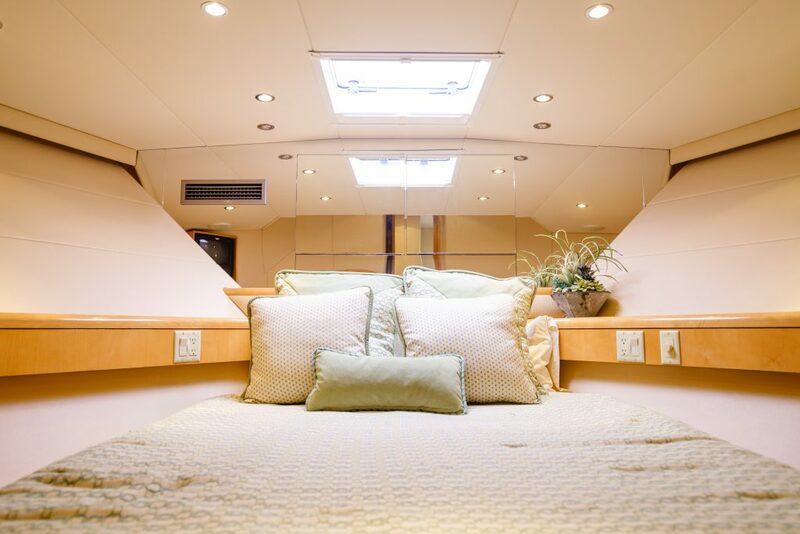 A five stateroom layout in a 75′ vessel.